Nearly 500 Medicare patients die every day from hospital mistakes, accidents or infections acquired while the patient is in a hospital. Short of death, about 25% of all Medicare patients admitted to a hospital will have some sort of preventable incident or harm. Sadly, almost all of these mistakes are preventable. If you are a caregiver to an older loved one, there are a couple of very important precautions you can take to prevent this from happening to your loved one. The first precaution is to be choosy in the hospital where your loved one will be admitted, because not all hospitals do as well at preventing these accidents as others. You now have someone on your side that can help you sort out which hospitals do a better job at making your loved one’s hospitalization a positive health experience. If you cannot stop a hospital from making mistakes in the care of your loved one, you certainly can choose a hospital which has a better track record for safety. The Centers for Medicare and Medicaid Services (CMS), the Centers for Disease Control and Prevention (CDC) and the Agency for Healthcare Research and Quality (AHRQ) collaborated to come up with a single letter grade scoring system – on the familiar A through F scale – for hospitals. About 30% of hospitals they graded received an “A,” and only one percent actually got and “F.” But would you still want to go to a “C” hospital (38% of the total) when you could choose a higher scoring facility? Check out how they scored hospitals as well as a list of those facilities they graded at www.hospitalsafetyscore.org . Those who subscribe to Consumer Reports also can go to www.consumerreports.org/hospitalratings. 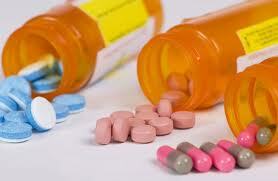 · Ask about any medication, what ailment it treats, etc. The bottom line is that when your loved one is admitted to the hospital, the goal is to be safe and to get better. These suggestions are to help you get the best team on your side and make sure everyone is working together for a positive outcome.